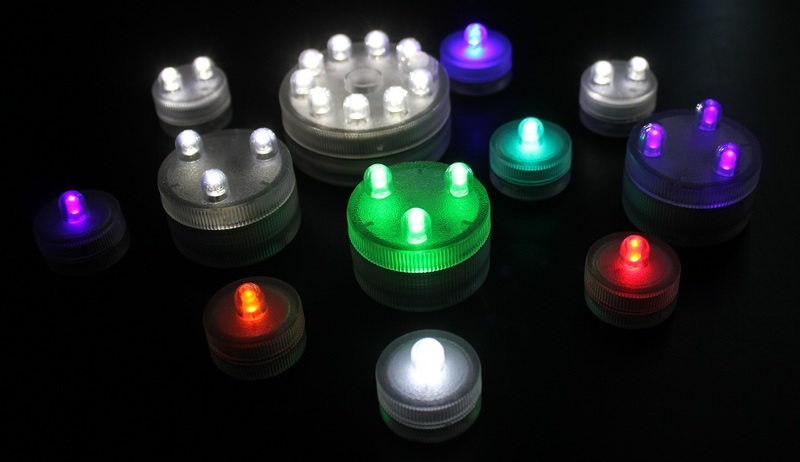 Submersible LED Acolyte Floralytes are waterproof, small, battery operated, and in some cases, remote controlled LED lights. While designed for the event and floral industry and used for weddings, corporate functions, and other special events. 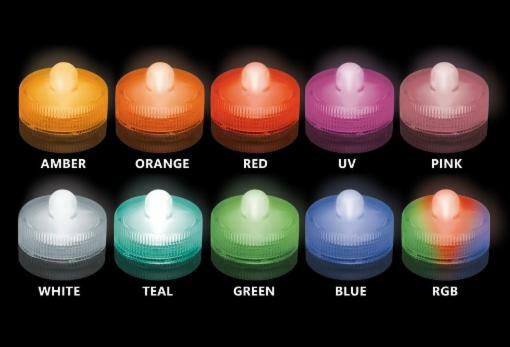 Submersible LED flower water proof lights are small, battery operated LED lights. While designed for the event and floral industry and used for weddings, corporate functions, and other special events, they work well for virtually any occasion such birthdays, quinceaneras, bar/bat mitzvahs or for just general decorating. Underwater flower lights can be used to illuminated water, crystal accents, deco beads, acrylic crystals and just about anything else transparent inside of floral vases. They work well in ice sculptures and centerpieces. Your imagination is the only limit.